Now you know as much Japanese as Johnnie! First of all, let’s get the linguistic thing out of the way: Saké is pronounced “sa-kay,” (rhymes with “okay”), not “sa-key” (last syllable rhymes with "okay"). The word saké in Japanese originally meant the rice-based beverage of the gods we’ve come to know and love. However, as different alcoholic beverages became more widely available in Japan, the term came to mean alcoholic drinks in general. Outside of Japan, the term saké still describes our premium drink of choice. Putting the two kanji characters meaning “Japan” in front of the kanji for saké gives us nihonshu, or “the saké of Japan.” This term came to be adopted by the Japanese beverage industry in the 1970s to distinguish it from other popular alcoholic drinks such as beer and whiskey. In Japan, nihonshu is the term we use to order the magical medicine that cures most of our ills. The “legal” term for saké that appears on every bottle in Japan is seishu, and this is often translated into English as “refined saké.” What the term means is that the saké has been passed through some sort of mesh during the brewing process. While nice to know, the term seishu is not commonly used outside of legal or tax-related statistical discussions. Saké: short, simple, poetic, and precise. When ordering in your favorite restaurant or bar, say it loud and say it proud! Some like it hot – we do not! 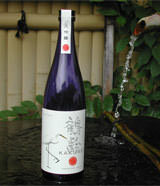 Most premium saké should be consumed slightly chilled, similar to white wine. There, we said it. Many people’s first exposure to saké in the U.S. is the piping hot concoction served in “Japanese” restaurants or sushi bars. We understand why that tends to leave a bad taste in their mouths. The custom of heating saké in Japan actually originated in China, and was tied to the belief that it was healthier to take food and drink warm. Long ago, before technological advances allowed high-grade saké production, a lot of strange, musty flavors and earthy odors were probably very common in saké. It must have been a happy discovery by early saké brewers and drinkers that heating the brew could eliminate many of these flaws. Fast forward to today’s premium saké: To make high-quality saké, brewers have taken tremendous care and gone to enormous trouble, fermenting long and slow at the lowest possible temperature, to create distinctive flavors and aromas. To then heat up the result of their labors – during which the painstakingly cultivated bouquet evaporates – would be an affront to their craft, and a terrible waste. 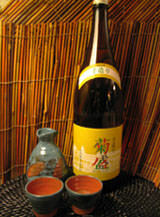 Saké-lovers generally drink their beverage cold, to better appreciate the beautiful flavors and aromas. One of the great pleasures of saké drinking can be savoring the subtle changes in flavor as the liquid warms (or cools) in the glass, searching for the sublime moment when a particular saké is at its best. Another wonderful aspect of saké appreciation is realizing that no two saké display identical characteristics at the same temperature. 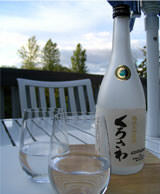 In fact, many premium saké undergo amazing transformations within just a few degrees of temperature difference. Don’t get us wrong: lightly or gently warming saké brings out the best in many types and can be a fantastic way to enjoy the brew during autumn and winter’s chill. The key terms here are lightly and gently. 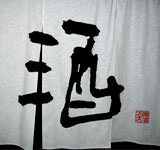 Saké is very much a living thing, and its fragility should always be kept in mind. We generally find the range between “a person’s skin temperature” and “lukewarm” (and yes, these are directly translated from the Japanese) is best – no warmer than 100 degrees Fahrenheit. So, by all means, drink your saké at the temperature you find most appealing, but please don’t overheat! To stay "in the know" regarding our many sake-related events and special tastings held throughout the year, please become a fan on Facebook or follow us on Twitter.